That’s LIFE!! No matter what you plan, you never know what life has planned for you. Often when we lose Hope and think this is the end, God smiles from above and says, ‘Relax, sweetheart; it’s just a bend, not the end…..! Have a wonderful day. Be cheerful. Life is a circle, what goes around comes around either in this life or the next, so watch your steps, check what you are doing is right or wrong and most important of all, check are you hurting another soul or not. 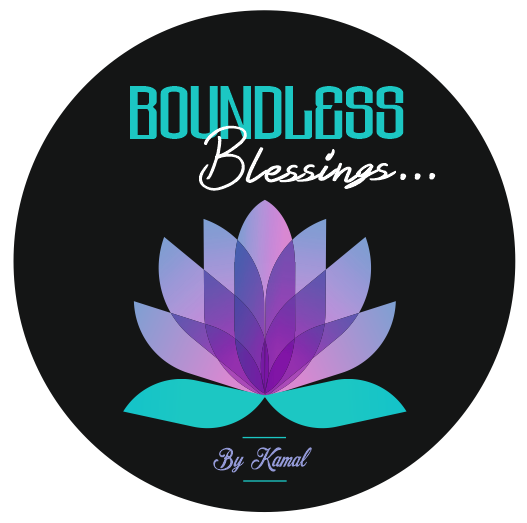 This is just a bend not the end….I love this philosophy, Kamal👍 life sure is a big package of surprise, as we unravel each layer of it. Yes my dear Radhika and life surely is a bag full of surprises and each layer has to be opened with love. This message tells us that we never know what life has planned for each of us. Thanks so much dear for your amazing inputs. Absolutely well said Kamal. Somewhere or the other we all have gone through such cycle of surprises some good and some giving roller coaster ride. When ever I thought now I am settled with a bit relaxed mind, something new happened which changed all over the time zone of working. I some how have become habitual of living out side the ambit of comfort zone but grace of God all goes positive and everything is good in that roller coaster ride , as i am self satisfied and with grace of God have everything what one needs. Accept happily what come on your way. Yes absolutely true and agree totally with your words, Tanvir. Life itself is a roller coaster and taking and being with God really gives so much meaning to being positive and happy and whatever difficulty comes we can carry it through with his grace. This message gives us so much insight and pointers. Thanks so much for your great comments. Yes absolutely true Indira. Thank you. So very true Kamal. Life is full of surprises. Yes absolutely Brigid and that is what life is all about. Such an encouraging, positive post, I love it. You’re right, you don’t know what’s around the corner. Have hope, learn along the way. Yes absolutely true and agree totally with your words, Rulla. Life never plans anything for us all is unexpected yes we have to prepare for the unexpected. Thanks so much dear for your great comments. Yes absolutely true Rulla and one has to know how to swim in this roller coaster called life. Thanks for your kind words and these stories are inspiring to all of us. Agreed, Kamal. Wishing you a lovely rest of your day! Thanks Rulla u too have a great day. Love and hugs to you. Yes so true if we all lived by not judging anyone and lived in harmony with each other then life would be so nice and simple. Thanks dear Amira for your great comments. Thanks so much for your great comments Cornelia and yes I agree totally with your words. We all have gone through these cycles of life and gone through good and bad times and that is life which gives us pain as well as suffering. Great post! Thanks for the wonderful reminder “check are you hurting another soul or not”. Yes so true Megala and one must really question every day who r we hurting or being nice to. Life has nothing planned for us. Thanks for the feedback. Very nice article! !this is what life is all about. We cannot plan it according to our needs…things will come from nowhere unexpectedly. Yes life is unpredictable and for sure a journey and the twists and turns r what we have to maneuver in our lives. They sure can be painful and happy too. Thanks so much for your great comments, Amy. wise words, thanks so much Kamal! This is very true, Kamal. That is why we need to make the most of life and enjoy the people who are important to us. Yes absolutely true and agree totally Robbie we all need to make every minute count. Life is so unpredictable why not enjoy to the fullest. Thanks for the beautiful comment. Beautifully written and so very true! Thank you so much for your kind gesture, Eri and yes this post was very powerful. One never knows anything so why plan and do what. That’s so true life doesn’t always happen according to our plan. Yes absolutely and nothing is planned for us everything happens in the moment. Thanks so much. Thank you so much Romilia for your kind gesture. My pleasure, friend. I enjoyed the post. It’s so nice. Thanks once again dear friend. Life is unpredictable and one never what will happen so why plan just move with the flow. Wow! Such beautiful words. Indeed life is a full circle. What goes around does come around. Yes I absolutely agree with your words so well spoken, Sana. Life is unpredictable no one knows what will happen any moment so why not enjoy what life is given to us instead of fear and worrying at all times. Reblogged this on A Pause for Nature. Thanks Sana for your kind gesture. with similar-day and subsequent-day supply from FTD. Previous Previous post: One Seed that will Grow with Patience…………..